The attacks on ExxonMobil are escalating as Russia’s Nord Stream 2 pipelineconstruction continues beneath the Baltic Sea to flood Germany with Russian natural gas. 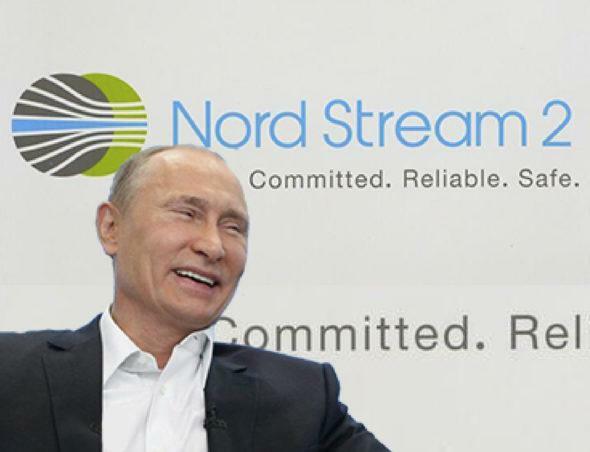 The Putin regime is banking heavily on Nord Stream 2 to circumvent land-based pipelines through Ukraine by delivering Germany the gas by the Baltic undersea pipeline. For years, she lived in Russia, where her husband, Steve Wayne, is founder and owner of a venture capital firm, the Jensen Group, which he has operated in St. Petersburg since 1991. Russian leader Vladimir Putin visited a Jensen Group projectin 2010. Wayne was a board member of Rockefeller Philanthropy Advisors from 2013-15.